Square 0098 Bird Raven. Copyright 2014 DJ Cline All rights reserved. Square 0051 Bird Egrets. Copyright 2014 DJ Cline All rights reserved. Square 0038 Gun B-17. Copyright 2014 DJ Cline All rights reserved. Square 0025 Clock Fairmont. Copyright 2014 DJ Cline All rights reserved. Square 0010 Hopkins Mural. Copyright 2014 DJ Cline All rights reserved. Square 0001 DJ Cline Monument Valley. Copyright 2014 DJ Cline All rights reserved. Squares of shopping carts. Contact me for rights and permission. Oct. 31, 2013 Happy Halloween! Copyright 2013 DJ Cline All rights reserved. Banner 7722 Drag Racer. Copyright 2013 DJ Cline All rights reserved. Here are squares of Apple Mac laptops and iPods. Here are good examples of twentieth century sculpture. Remember radial mechanical clock faces? Remember when phones had physical keypads? Contact me for rights and permissions. Copyright 2013 DJ Cline All rights reserved. I learned that John E. Karlin, Designer of the 20th Century Telephone, Dies at 94. 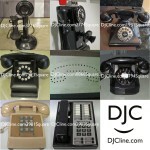 I created some squares of telephones. I have no trouble finding phones from 1900, but it seems impossible to find a cell phone from 1990. Doug Wray saw the pictures and noticed how little the form factor changed. I wonder if there are any lessons to be applied to wireless devices? After creating over 500 banners, I decided to create some squares. These pictures were all taken within one hour and within an mile of each other. 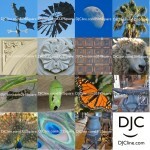 Contact me for rights and permissions.